Ketones are a critical part of the ketosis diet and they provide many health benefits. This article examines the research behind those benefits and discusses how a ketosis diet can be beneficial. Cambridge Diet Reviews: Can You Lose Weight This Way? The Cambridge diet is yet another weight loss approach that is supposed to be amazing. But, how well does the diet actually work and should you try it out? 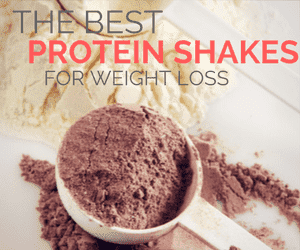 Ready-to-drink shakes can seem inferior but Premier Protein shakes do stand out above their competitors. So, are the shakes actually worth trying? If you’re wanting to improve your health, Kalamata olives are a powerful way to go. They also taste great and work well with many different recipes. With kale’s strong reputation, it can be a little difficult to distinguish fact from myth. In this science-based analysis, we look at the actual science behind kale and what health benefits this vegetable actually offers. You’ll be surprised at what we’ve found. This list of 23 delicious Paleo holiday recipes offers a variety of dishes from some of your favorite food bloggers to inspire your holiday meal planning this year. We cover entrees, side dishes and of course, desserts too ! It’s easy to get stuck in a rut with breakfast and many of us end up eating similar things every day. With that in mind, here are 29 great breakfast recipes that can help you to feel fantastic and may even promote weight loss. Finding good lunches for work can be tough, which is where this list comes in. We highlight some of the best keto lunch choices, in a range of different styles. This round up collection offers some of the best asparagus recipes from across food blogs – showing you how to take advantage of the unique flavor of asparagus in many unique recipes.